I moved to East Sussex. You're probably fed up hearing about us moving home, but down here on the edge of England life is good. Anyway, I'm speaking with you about two things, and I'm all excited. 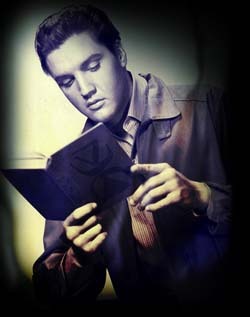 If you already have a copy, in whatever guise (some of you even have those signed paperbacks! ), then you're already a hero. And for that, I think you're great! 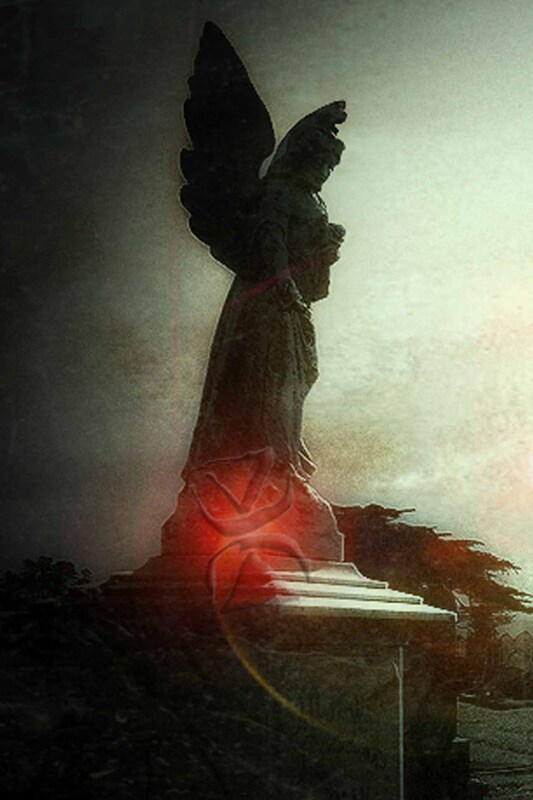 If you were immortal, what would be both good and bad about it? There's a reason I'm asking, and you'll find out next year, but, yeah... Tell me what you would get up to and why it may not just be all fun and games. Is it just me, or ... ? How you doing? 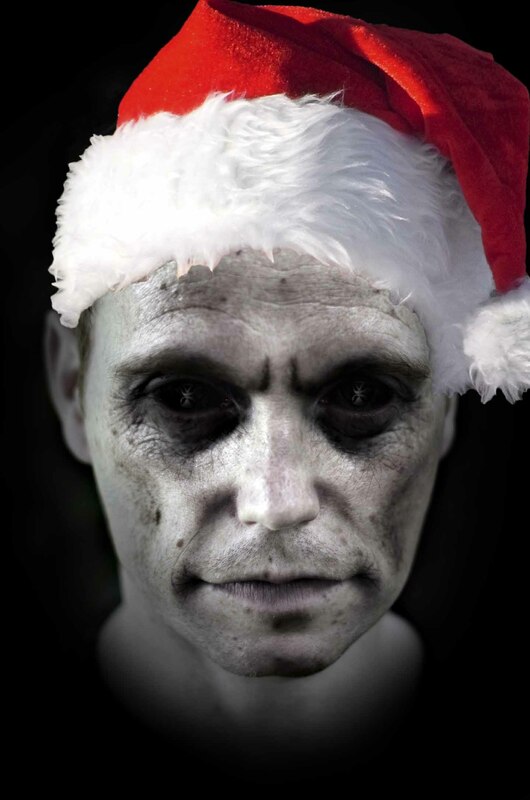 Ready for Christmas? I'm not. Almost, but not quite. My wife and I had one target this year, and that was to move home. Our moving date came close to the end of October, and by the time we upacked, settled in, and truly made the house Our Home, I realised something: Christmas is almost on us! Seriously, is it me or did Christmas leap forward a few months without telling anyone? While unpacking, I found a box of paperbacks left over from conventions, so I'm offering you the opportunity to grab a signed copy or two! Also, well ... you know ... a paperback makes an AWESOME Christmas present, right? Right? 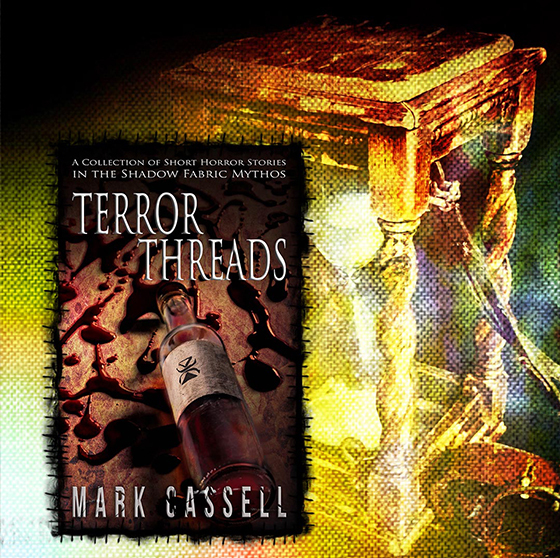 Oh, and the paperback edition of Terror Threads landed a few days ago. I have several of those left from the first print run. Please note: this is on a first-come-first-serve basis (should it be hypenated like that? Haha). All overseas readers are welcome, of course! I'll never leave you guys out. Ever. "... I knew how they’d died in the 17th century: one swinging from a tree, the branch creaking as she mocks those whom hold the rope; another smirks at a gloating township through hungry flames; one bleeds from countless wounds over every inch of her naked body, the fatal penetration of a blade as she spits a curse into the Witchfinder General’s determined glare; another, accepting the water into her lungs as she watches the light of day blur with the man who holds her below the surface; and the last, a curse uttered from scabbed lips as the moonlight reflects from a swinging blade the moment before it severs her neck. Here they were, under a 21st-century moon, returned. 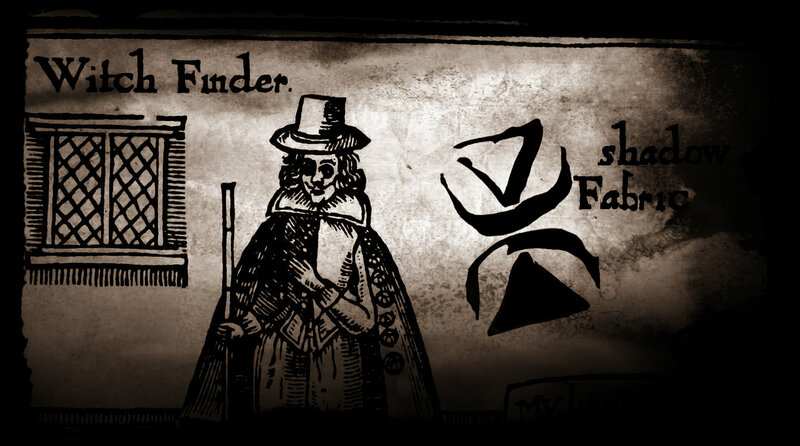 Long-haired and gowned, yet their faceless heads glistened smooth in the moonlight. 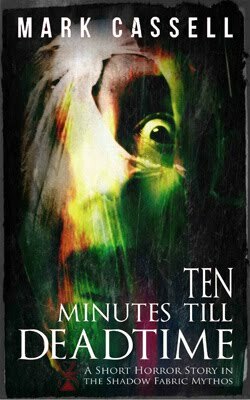 No features, with mottled and veiny flesh ..."
- excerpt from one of ten stories in TERROR THREADS. 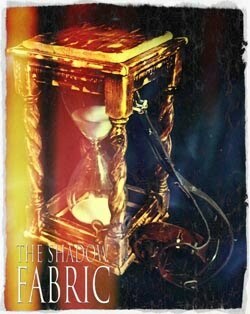 Released on the 3rd of November, this short story collection is currently still up for the discounted pre-order price. So be sure to grab it before those £$£$£$ go up (find it here: Terror Threads). As always, BIG thanks to all you guys! Here's a treat for you guys. How about snatching up my next ebook for a SPECIAL pre-order price? 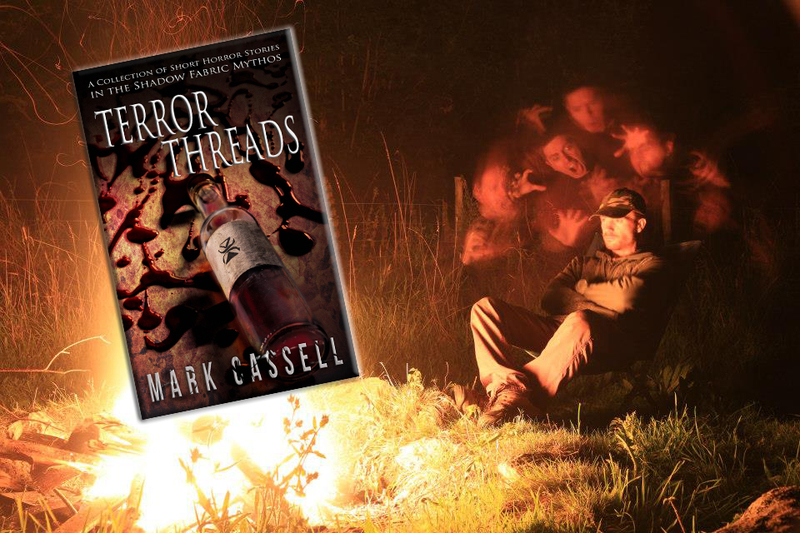 From now until 3rd November, Terror Threads is available exclusively on Amazon for only 99p (99c) - please click here. After that, the price will jump up ... so, this is your chance to save some pennies. - When a driving instructor's pupil fails to turn up for a lesson, he doesn't just drive off. He investigates ... things. - Two brothers and a grandfather's secret. This is a story that begins in childhood and ends in adulthood. - In Yellowstone Country Park things are black. - A primary school teacher's lesson fails to go to plan when a peculiar Easter egg lands in her possession. - An artist learns she is not the only one holding the brush. - After a serious accident, all you want to do is relax in your garden. But the mysterious pile of dirt that has appeared on your lawn bugs the hell out of you. - A photographer's commission proves to be a pain in the neck. - It's a shame the dead can't stay dead, especially those who are discovered in a wall cavity. - Staying at a bed and breakfast in a quaint harbour town, Tammy is not in the mood for uninvited guests. Especially when she's hungover and the guests are demons. 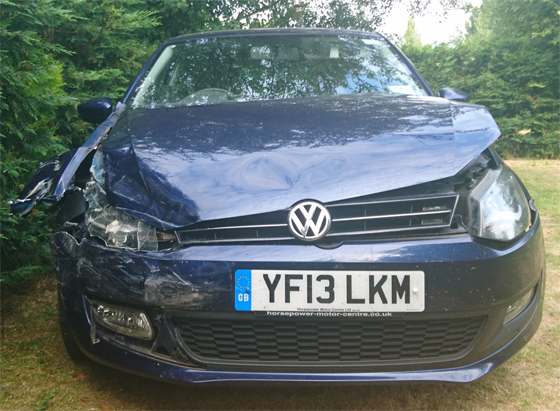 - The low October sun can cause road accidents by blinding drivers ... but perhaps there are other causes in the surrounding woodland. 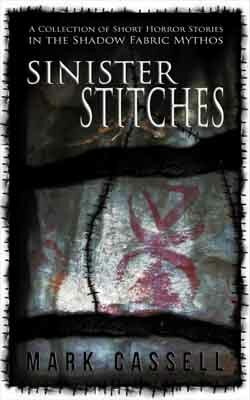 Most of the stories featured in this collection have been previously published in anthologies. 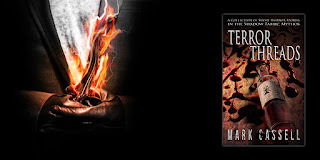 Grab Terror Threads at the special pre-order price. 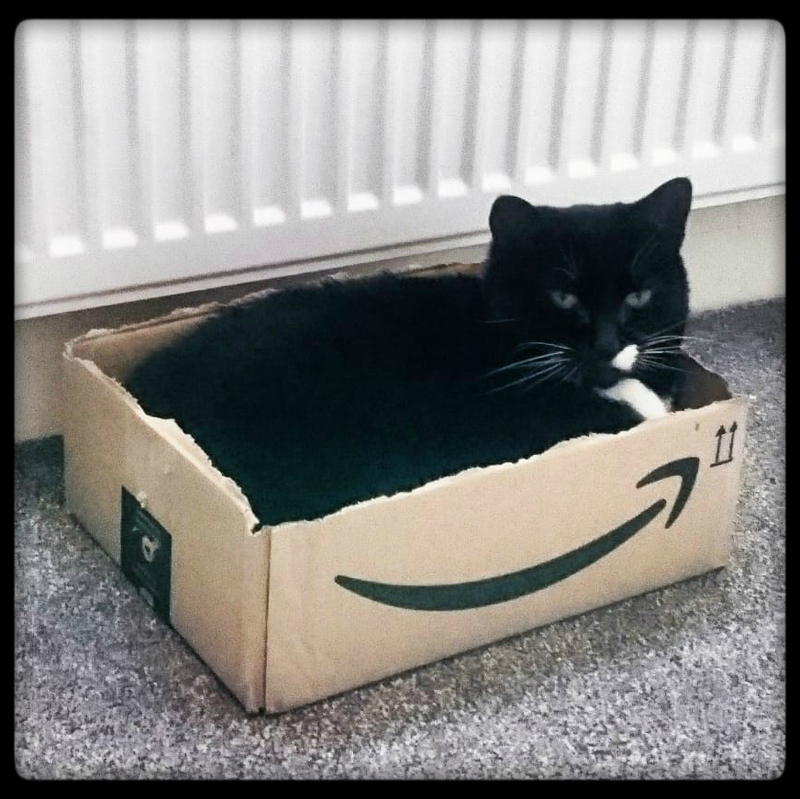 Click HERE to be taken to your country's Amazon page. 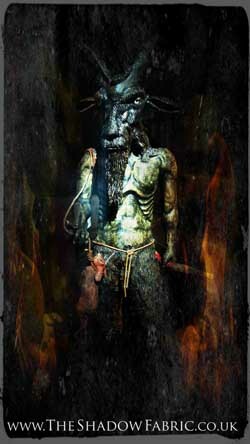 "Brothers Chuck and Dillion were farm kids who experienced an unexplainable freakish event in their fields one Halloween. They are all grown up now and have unfortunately drifted apart. You've heard of gemstones having healing properties, well, what if the opposite was true... Oh that antagonistic Amber, a beauty to be wary of as it unifies and evades. 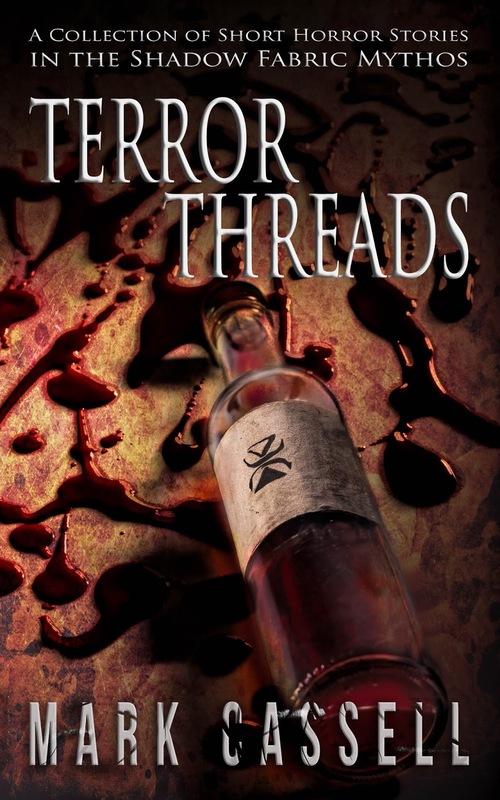 Grab Terror Threads at the special pre-order price! "Is this a test? It has to be, otherwise I can't go on..." - The Patient, Tool. 22 years and it finally happened. 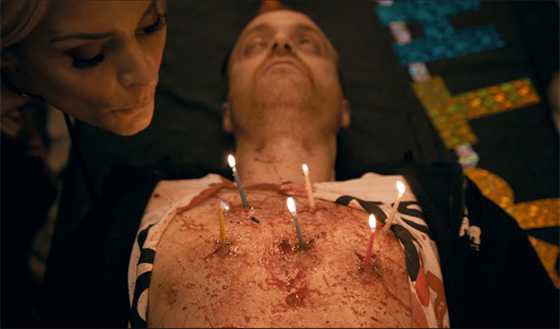 I'm not talking about being a human birthday cake in a horror movie, I'm talking of writing my car off. Usually I write fiction (you guys know that, that's why you're here) but writing a car off is a spanking new experience for me. Oh, and the car accident? I'm okay, although my car is not. (My shiny No Claims Bonus has not been dented). You want to know about that DISCOUNT I mentioned, right? 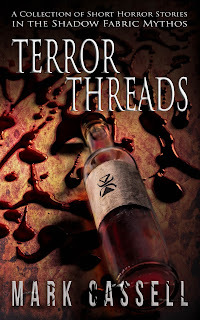 TERROR THREADS - a collection of ten standalone tales in the best-selling Shadow Fabric Mythos. 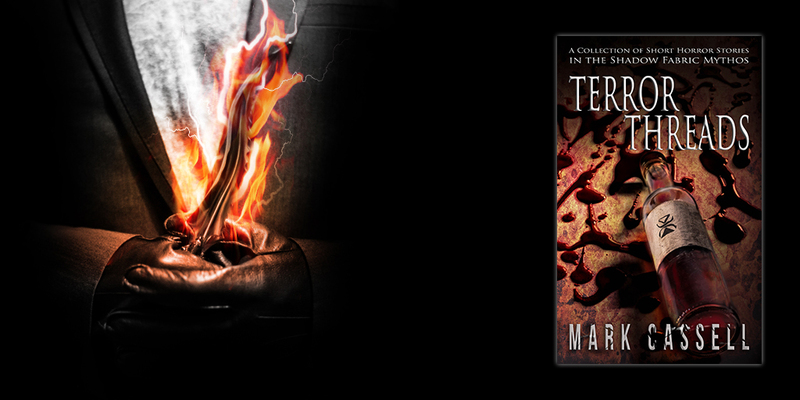 Available at the discounted pre-order price of only 99p/99c exclusive to Kindle. Grab it at Amazon UK, Amazon US, or head over to www.markcassell.com. The paperback version will be with us in November 2018. Available at the discounted pre-order price of only 99p/99c exclusive to Amazon UK and Amazon US. 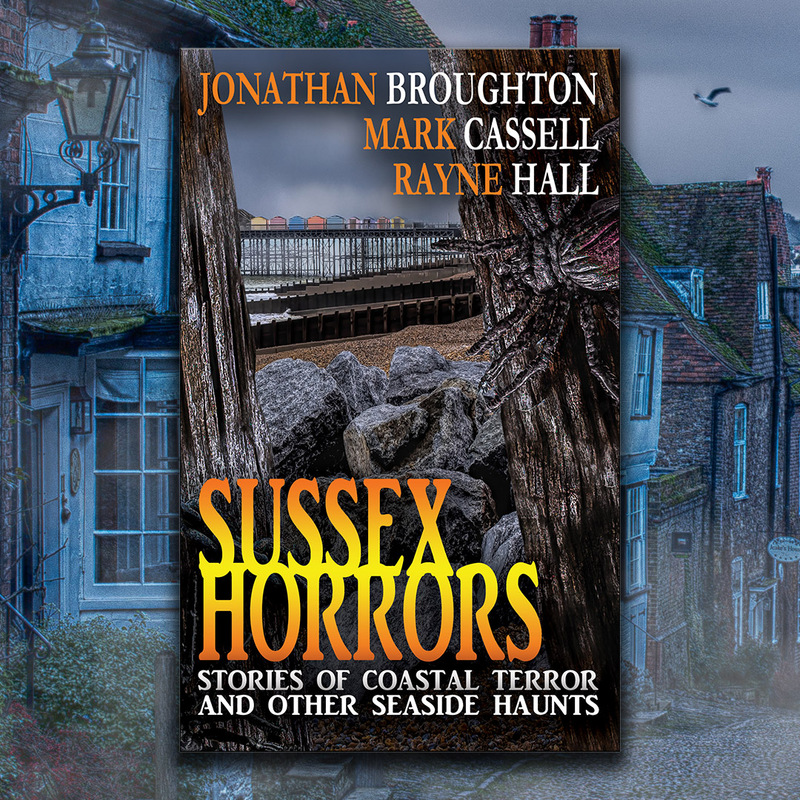 Available at the discounted pre-order price of only 99p/99c exclusive to Amazon UK and Amazon US, or head over to www.markcassell.com. "The meaning of life is not simply to exist... but to move ahead, to achieve, to conquer." 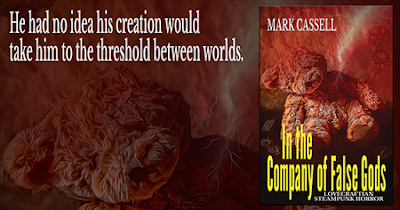 My next release, In the Company of False Gods, further explores my steampunk universe and you'll shortly get a sneak peek of it. But first, let's talk about what you could win. 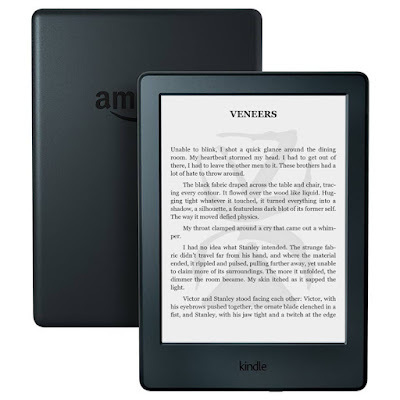 You fancy winning a Kindle? There's a 6” Kindle E-Reader with a glare-free, touchscreen display and WIFI, loaded with every book I've ever written ... and it could be yours! 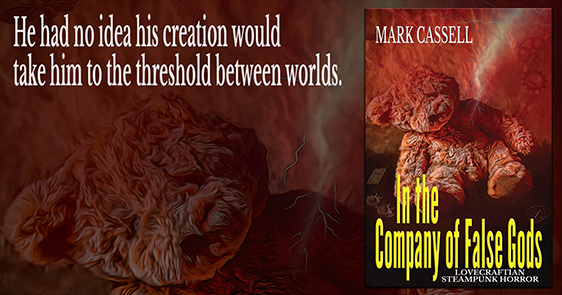 Stage 1 - Head over to Amazon and pre-order a copy of In the Company of False Gods (UK http://amzn.to/2wWg2U9, US http://amzn.to/2fitHen, or any country's local Amazon site). Stage 2 - Take a screenshot of your receipt/order confirmation. Stage 3 - Jump over to Facebook and post the screenshot on the pinned post at the top of the Book Launch page: https://www.facebook.com/events/133473963948543/. This competition will close 30 minutes before the end of the launch party. Swerving around shattered glass and collapsed masonry, I launch my wheelchair down the ramp and away from the mansion. Lady Greyheron had been bounteous since employing me to build her a mechanical assistant. It is difficult to admit that I am not the man I once was and these days it seems I should be the one with an assistant. This slope was the first of many aids she had installed for my use. I never knew I would be using it at such speed to chase my escaping automaton. As I palm the wheels, my mechanical limb over-compensates for my weak one. I adjust and manoeuvre straight. Since the accident, that hand is not as strong as it used to be. The other no longer exists. Nor my legs. Ahead of me, six months’ work bounds down my boss’s courtyard and into the night, trailing shreds of a tailored suit and rattling chains. And fire. My mechanical construct – my best creation since the accident – is escaping. I have failed. Again. Even from this distance, I see jagged metal poking through the torn fabric. 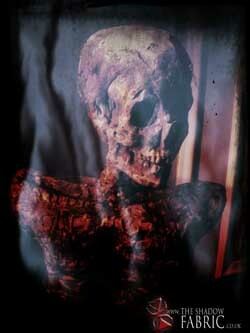 The flames rage as a result of two gas lamps that tore from the walls as it escaped. Those lamps had flown through the air, slamming into the construct’s frame – indeed, most of the apparatus and laboratory equipment did the same. Somehow, the damnable thing has become magnetised. It heads for the town … where there is a lot of metal. Railings, grates, roadside lamps, carriages and vehicles, and the zoo with all those cages. The more it attracts, the stronger the magnetic flux. Gravel crunches beneath my wheels. I cannot believe this is happening. For once, I wish I had a powered wheelchair rather than the traditional wooden one I use. Normally the idea of coal warming my rump in a chair I could propel myself does not appeal. Certainly, never have I needed to go at such speed – my automatons are usually obedient. 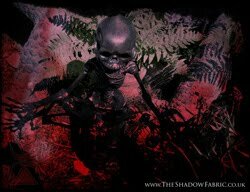 Mark Cassell lives in a rural part of the UK where he often dreams of dystopian futures, peculiar creatures, and flitting shadows. Primarily a horror writer, his steampunk, dark fantasy, and SF stories have featured in several anthologies and ezines. 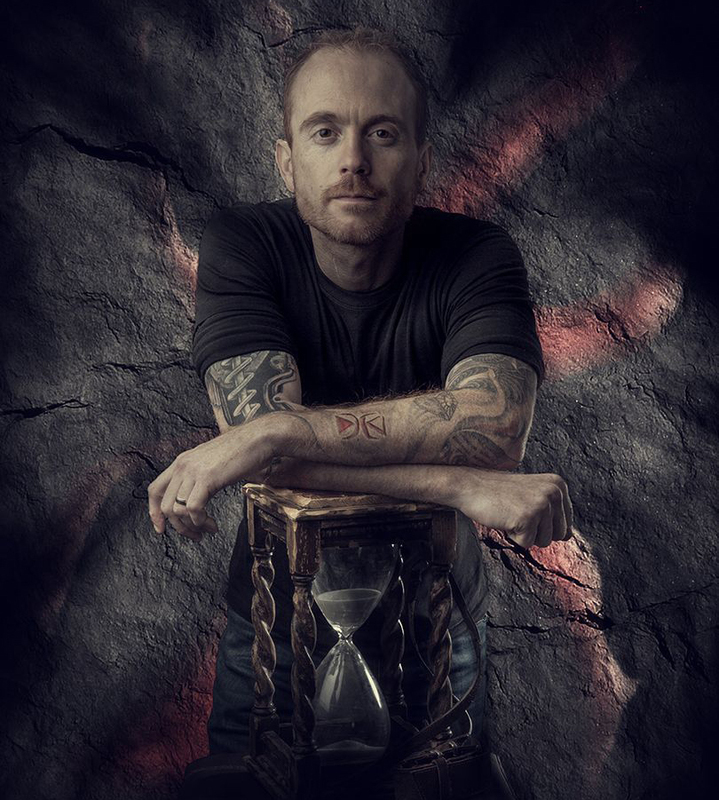 His best-selling debut novel THE SHADOW FABRIC is closely followed by the popular short story collection SINISTER STITCHES and are both only a fraction of an expanding mythos of demons, devices, and deceit.